According to CNET, the number of employees who work remotely has climbed from 39 percent to 43 percent between 2012 and 2016. As flexibility and mobility become increasingly important, it’s critical that businesses include remote employees. My father was a supervisor, and he lived by the philosophy of “manage by walking around.” Clearly, when employees live thousands of miles apart, that’s not feasible. Fortunately, with today’s technology you can use similar techniques remotely. Host one-on-one meetings and team meetings via video conference. By hosting team meetings via video, you can build facial recognition, read body language and nonverbal cues, and even have fun. One manager I worked with designated a “team color” for each meeting, and asked her employees worldwide to wear that color. It was a fun way to bond and break the ice at the beginning of meetings. There’s nothing more frustrating for an employee than feeling that their manager is not available. Once a week, try set up virtual “office hours.” Sign in to a video conference bridge and let your teams know you’re available (no appointment necessary) to pop in for a quick discussion. A few weeks ago, my vice president was working from home and turned on the video feature to show me her daughter’s remodeled bathroom! It’s a great way to strengthen personal relationships in the workplace. Skype is possibly the most widely used of the list. With a vast multitude of features, such as screen sharing and group video calls, it is ideal and versatile enough for most businesses. Zoom features Cloud video conferencing and hybrid Cloud service with the usual video conferencing and web conferencing. OfficeSuite provides a flexible, cross-functional platform with a host of built-in tools. When Microsoft moves on from Skype for Business, it will take the video platform of Skype and connect it to Microsoft for a simple but effective platform that includes meetings as well as chat. Fuze targets an enterprise audience with a platform that supports voice, video and messaging. For traditional brick and mortar businesses, there’s nothing quite like gathering at a conference table in a “war room” to map out a project. With remote employees, this type of focused collaboration requires a little more creativity. Here are several great platforms that can foster the same type of collaboration. For task-intensive environments, Daylite is ideal for keeping everyone in the loop and on the same page when it comes to managing new sales leads and understanding unique client specifications. TeamViewer is the go-to tool for remote desktop access and support. It enables employees to connect to remote computers, applications and company data. This program prevents any miscommunications and skips long, complicated explanations. Mural.ly is a creative tool designed to help with brainstorming. This is ideal when you want team members to think outside the box, and is perfect for idea mapping. Because this technique engages the visual part of your mind, it’s often more effective than traditional planning methods. 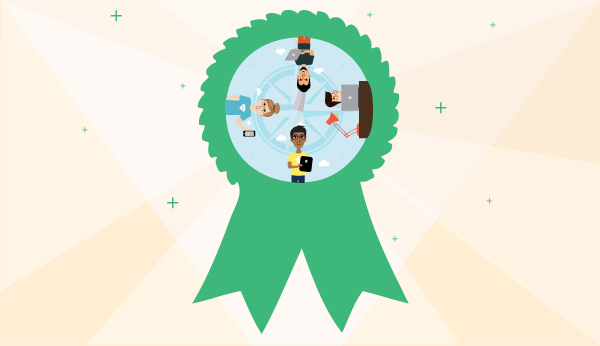 Everyone likes to have their work acknowledged, and that doesn’t change with remote employees. Recognition has been proven to increase engagement and boost company loyalty. Many of the programs listed above can help show appreciation, whether it’s acknowledging performance on a video conference or posting it on a social media board. A public thank you goes a long way in rewarding a job well done. Since remote employees don’t have a community water cooler, it’s important that they have a forum to connect (and compete) personally. My favorite platform for this is Jive. It’s an intra-company social media platform that encourages connection, recognition and social interaction online. It works similarly to most social media with posts, likes, comments and shares plus it has robust reporting capabilities to measure usage and participation. It’s ideal for leaderboards, recognition, and getting to know one another. But with all of these technologies, it takes time to integrate remote employees into company culture. Start with one or two ideas, and build from there. There are always new strategies to try. Voice assistants have already become commonplace in mobile phones, but smart home speakers like Amazon’s Echo and Google’s Home also offer an array of voice-controlled business collaboration “skills” that can pull multiple functions together to make virtual communication more efficient and hands-free. And don’t forget the need for feedback – by soliciting regular input from your employees, you can gain a better understanding of their short and long-term goals. Try using pulse surveys on a weekly basis to ask everyone how they’re feeling about their work and the recognition they’re receiving. Like any technology, practice leads to efficiency and effectiveness. So keep building your toolbox, and in no time, you’ll see the results across your business – there’s no limit to what you can achieve with innovation and communication. Beth Kotz is a freelance writer specializing in small business technology, home improvement, and personal finance. She lives and works in Chicago, IL.